I first heard about “Beyond the Sun” when editor Bryan Thomas Schmidt launching a crowdfunding campaign for it on Kickstarter. I love space opera, and was intrigued by the concept as well as by the stellar list of potential contributors. So I summoned up the courage and reached out to Bryan, asking if he would consider a submission from me. He graciously allowed me to submit something, and a few weeks later I e-mailed him a space opera story with lots of alien races, intergalactic conflict, and other cool stuff that I was certain would win Bryan over. It was rejected within a week. Bryan was a class act though. Despite the fact that he knew he wasn’t going to pick up the story, he returned the file with extensive copy-edits and suggestions, many of which I adopted before submitting it elsewhere. I thanked him, and asked if I could try something else. Bryan told me that he’d let me know, but in all fairness, he wanted to get submissions from all the other writers he invited first. Which made perfect sense. Fast forward to two weeks ago. I was down with a nasty case of the flu which was just beginning work me over. I wake up on a Wednesday morning to an email from Bryan, letting me know that I can submit something else, but I’d have to get it to him by the weekend. At this point I have no space opera story in my inventory, or even a developed idea for one. And I’m enjoying the flu. So I sit down to brainstorm on Wednesday morning and write half a story. On Thursday morning I write the other half, and send it off to beta readers. I edit based on their suggestions and submit it by late Thursday evening, and after some very minor edits, Bryan accepts it on the following week. This is, without a doubt, the fastest concept-to-submission-to-sale turnaround I’ve had on a story that isn’t flash-length. Bryan announced the TOC today. 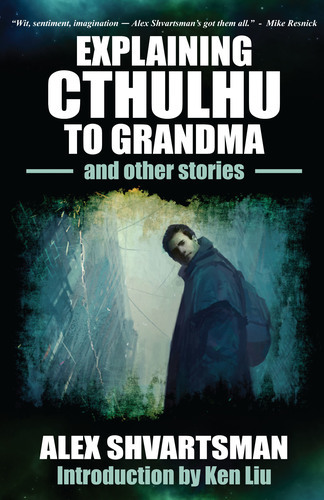 It includes stories from Robert Silverberg, Mike Resnick, Nancy Kress, and many other writers I like and admire. My own story will appear between tales by Jason Sanford and Cat Rambo! Behold the complete table of contents. 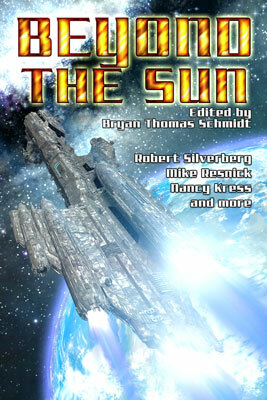 Beyond the Sun will be releasing later in 2013. This entry was posted on Monday, January 28th, 2013 at 6:38 pm and is filed under Acceptances & Publications. You can follow any responses to this entry through the RSS 2.0 feed. Both comments and pings are currently closed. Amazing, Alex. And many congratulations; it sounds like a great anthology. Congrats! And I hope you’re feeling better.